Make sure you consciously make an attempt to incorporate these vitamins in your everyday diet to age gracefully and look your best at every stage of life! We are very well aware that nutrients are highly essential for the proper functioning of the body. Vitamins are undoubtedly the care takers of our bodies and it is rightly vital. The skin and hair are no exception to this rule. They require the right doses of vitamins too. Besides keeping yourself hydrated, here are the roles of vitamin A and B in benefitting your skin and hair care. Vitamin A is a group of compounds consisting of retinoic acid, retinol, retinal, provitamin forms which include carotenes. Retinol is one of the key ingredients in most anti-aging and skin lightening creams. There are even retinol peels available which works to reduce skin pigmentation. Remember beta carotene in carrots? Sounds familiar right? That’s a form of vitamin A. Each of these compounds plays their roles in building of the cells and tissues and providing nutrition. Vitamin A is a great source of beauty to the skin. It also improves the blood flow to the skin and the thickness of collagen, thereby slowing the process of aging. It is great for exfoliation. Vitamin A is a fat soluble vitamin, which means it is stored in the body for longer and there are chances of toxicity, therefore it should be consumed in moderation. What is the role of vitamin A on the skin? To begin with, vitamin A brings about the proliferation of the keratinocytes or the topmost layer of the skin thus, bringing about the formation of fresh new skin. It brings about exfoliation. Retinol and its co-compounds are very widely used in acne prone situations. What it is thought to do is regulate the sebum production along with working on the sebaceous glands thus taking off the nutrient source for acne bacteria thereby bringing about death of these bacteria. The most commonly used consumable form is called Isotretenoid. It is also widely used in skin creams bringing about complexion enhancement and works well in depigmentation. Caution: Isotretenoid has its own set of side effects, therefore must be consumed under MEDICAL SUPERVISION only. Please consult your doctor before the purchase of any products containing these compounds. A retinol based product might make your skin sensitive to sunlight. Therefore, it is best used at night and of course, don’t forget to use your sunscreen through the day. Where do you find Vitamin A? Carrots, dark leafy greens, mangoes, bell peppers, fish, apricots etc are all rich sources of vitamin A. Daily recommended dosage is approximately 900 micrograms for an average adult. Let’s look into the benefits of Vitamin B in helping you to maintain the health of your skin and hair. Vitamin B helps in rejuvenation and maintenance of skin. It has notable effects on the hair. It helps the hair to strengthen thus preventing breakage. It also provides nutrition for hair growth. Vitamin B is a broad term for a series of subsets. Vitamin B1- It is called Thiamine. This helps in the metabolism of sugars and proteins. Vitamin B2- This is also called as Riboflavin. It helps in enzyme reactions and also in the activation of other vitamins. Vitamin B5-This is Pantothenic acid. This again helps in the metabolism of various molecules. Vitamin B6- It is called Pyridoxine and functions by bringing about metabolism by acting as a coenzyme. Vitamin B7- This is called Biotin. It functions by bringing about the synthesis of glucose and fatty acids. Vitamin B9- It is called Folic acid. This vitamin plays a major role in the formation and maintenance of the DNA along with helping in cell division. Vitamin B12- Commonly known as Cyanocobalamin. This vitamin acts as a coenzyme in the metabolism of each and every cell in the human body. All these are collectively known as B complex. Sounds familiar? That’s right. We all need this wonder vitamin to function appropriately. Vitamin B is water soluble and thus cannot be stored in the body. Therefore, it becomes essential for us to keep our bodies nourished with vitamin B by the right intake. 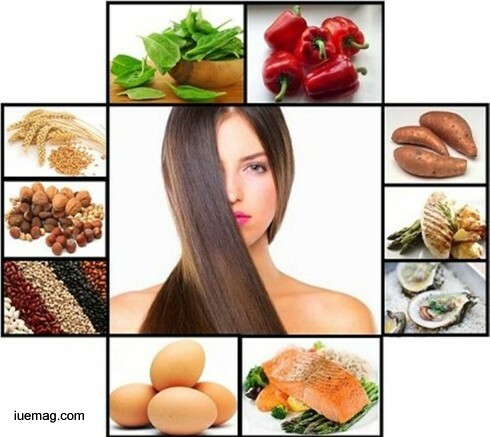 How does Vitamin B play a role in Skin and Hair health? On the inside, Vitamin B in general promotes healthy digestion. It promotes the cell regeneration and cell growth on the outside thus providing a supple smooth skin. It also reduces skin conditions such as eczema. It combats the effects of aging by reversing the effects of pollution, stress, cholesterol, lifestyle changes, etc., on the skin. As far as hair is concerned, Vitamin B is essential for maintaining the integrity of the hair, for its re-growth, thereby helping in the reduction of hair loss. It is also responsible for making the hair long and strong. Any facts, figures or references stated here are made by the author & don't reflect the endorsement of iU at all times unless otherwise drafted by official staff at iU. This article was first published here on 22nd December 2016.